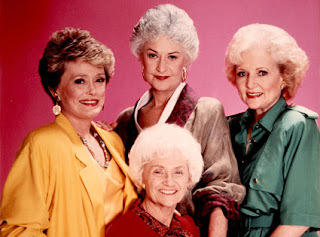 If you love Golden Girls, you would definitely adore Designing Women, especially being a southern girl yourself! My sister and I love it, but it's pretty hard to find on TV anymore, you must check it out! I've never seen it either, but I definitely had the urge to watch a few episodes with Betty on SNL and Rue passing away. Are you serious?! I've seen every episode 45 times and still watch it every night when I go to bed on Hallmark. It's addicting! yeah, this is right up your alley!